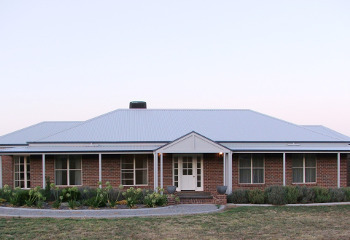 Our philosophy is that your new home needs to be custom built taking into consideration your specific site, your budget and your individual needs. Contact us with your ideas and we can tailor a package to suit your needs. Site inspection – meet on site to determine the best or your preferred location for your new home taking into account orientation, existing services and topography. 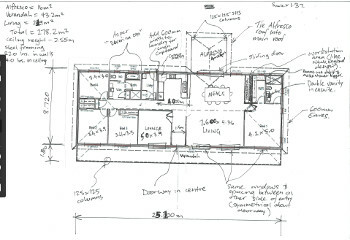 Design choice – Leonie & John Buchan will assist you in choosing and/or modifying a house design which is perfect for your block, lifestyle and budget. Bell Country Homes takes pride in ensuring each house has maximum advantage of northern aspect, allowing best use of sunlight. Once a dimensioned draft plan has been drawn an obligation free estimate and preliminary specification will be provided to see how the proposed project fits your requirements & budget. In this we will include initial allowances for such items as your bricks, kitchen, appliances, floor coverings etc. You can submit this to your bank to obtain funding approval “in principle” for your project. Soil test if not already provided by you. Fully drafted plans to suit your plan on your block of land. Flood height survey if required. This preliminary deposit will be deducted from the first 5% contract payment. 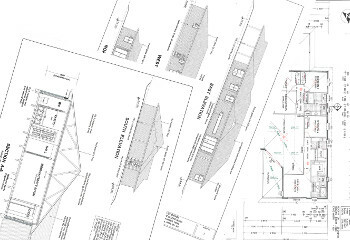 Our draftsman will provide a floor plan, elevations and site plan for your approval; this will take into consideration any special requirements for soil type or block location. Once you are happy with the plan, price and inclusions, a fixed price tender will be sent to you, should you decide to proceed; you will then sign the tender and a HIA building contract. The fixed price tender becomes part of the building contract as does the plan of your home. This is normally required by your bank or lender so that you can secure finance. Formal Approval – After the building contract has been finalised the engineering and other required documentation will be produced ready for submission to council. 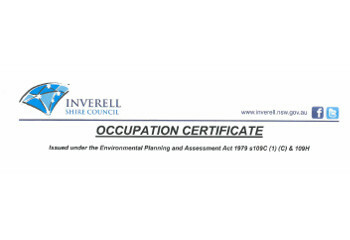 The council application forms will need to be signed by you, and you will be invoiced for the balance of the 5% deposit owing after the initial $5,000.00 has been paid. Your project will then be submitted to council. Council approval generally takes 4 – 6 weeks depending on your local council. Once we have the Development approval from council we will supply home owners warranty insurance for your project which covers your project structurally for 6 years. 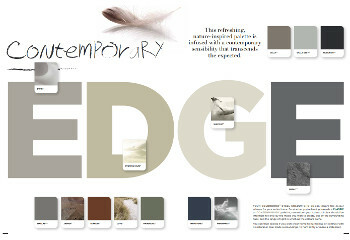 Colour Selection - Whilst your project is in Council we can start work on the exciting task of colour and product selections. This will include brick choice, tiles, kitchen selections & floor coverings. Quotes will be required from your preferred supplier for items such as your kitchen, appliances, floor coverings tiles etc. We will then book them in and arrange installation at the appropriate times. We pay for these items (subject to your allowances). 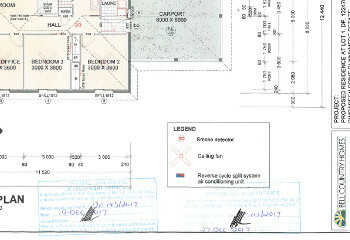 We will also prepare a draft electrical layout, so that every switch and power point is positioned where you require. This layout will be confirmed at frame stage where you will meet with our electrician. 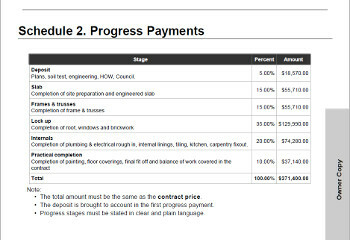 Construction Process – On release of your plans from council we will send a copy of the council approved plans to your lender. We also cover the building site with our Construction Works and Public liability insurance, copies of which will be sent to your lender along with the council approved plans. Your lender will supply us with the formal finance approval which we require before we can commence construction. Once we have the formal finance approval we will commence preparing your site for the concrete slab and the start of the construction process. 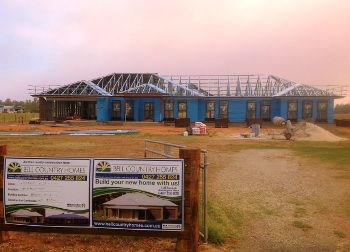 Frame Up - Frame and walls are erected in preparation for roof cladding. Lock up - Roof, external doors hung, windows and external cladding installed. Internals - Completion of electrical & plumbing rough in, internal linings and carpentry fix-out. Practical Completion - Completion of final carpentry fit off, wet area tiling, kitchen and balance of work covered in the contract. 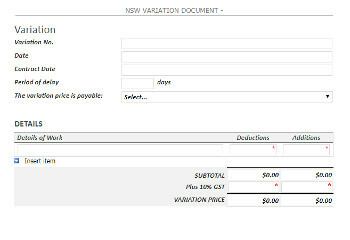 Payment - After the initial 5% deposit is paid the next payments will be invoiced after the completion of each stage. There is generally 5 draws made throughout the building time – however this will be subject to your lender. An invoice and progress payment claim will be sent to you and your lender - payment is to be made within 7 days of the invoice being received. At certain stages during the construction an estimated time line will be prepared in the office updating you on how the project is running and what is coming up next. Variations & Extras – At any time during the building process you will be able to make variations to the job as long as they work within the building schedule. Should a variation be required it will be necessary to discuss this with John and he will advise if it is possible. If so a priced variation will be drawn up and signed by all parties prior to the variation being started. As you will be given allowances for certain items such as the kitchen, floor coverings etc a running total will be kept between all parties so that you know how your budget is going. Items that exceed the allowance will show as an increase in price to the total contract price. Items that fall under the allowance will be shown as a credit. 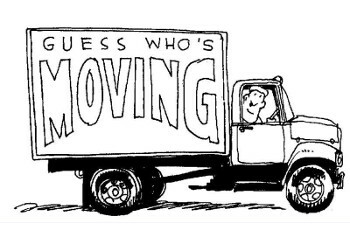 Moving In – Once the final payment has been made, and the home has been handed over to you it will be necessary for you to arrange Home insurance as our cover will cease once the home has been handed over. You will then be ready to move in.